Real Talk: What’s the Deal with Millennials? Millennials are those individuals born in or after 1984ish who grew up being told they were special, they could have or do anything they wanted simply because they wanted it, and were often given medals just for participating in events or competitions. In the early 2000’s, this group of young, fresh faced, eager people entered the work force and quickly discovered just how special they aren’t. And that things like jobs aren’t just given to you because you want them. Their already fragile self-image was shattered and without the instant gratification of being able to obtain a high paying job using their well-designed resume on expensive paper and a list of credentials obtained from an institute of higher education, Millennials have a hard time fitting in and staying loyal to a company where they don’t feel like they are making an impact or aren’t able to learn and grow. Simultaneously, many companies focus on the numbers rather than the people making those numbers happen. When a Millennial thinks of themselves as merely a number or just another cog in the machine, they don’t feel impactful in their job. While Millennials may have been raised with endless opportunities simply handed to them, the overwhelming majority of them also have a sense of loyalty and a desire to make a real impact on the world instilled in them. As Millennials take over the job market, time is of the essence for companies to invest in the growth of their employees. 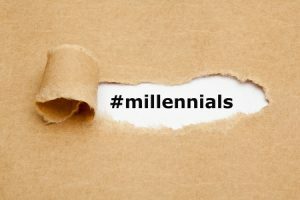 Rather than fill their offices with individuals who are content to punch the clock, do only what is asked of them, and little more, companies have a great opportunity to help Millennials find their purpose and find fulfillment in their jobs!